Land Rover is reinventing one of its most iconic models and plotting its return to the U.S. Arriving in time for the Defender’s 70th anniversary in 2018, the British automaker will recreate its legendary SUV for the first time since 1948. According to a report from Automobile, the Land Rover Defender range will become a go-anywhere luxury model with tough styling that will be offered in at least five body types including a two-door, short-wheelbase model featuring a metal top or soft top while a four-door, long wheelbase will be available only with a metal top. The company will also add a two-door pickup with a short wheelbase and a four-door pickup with a long wheelbase. Read more about the Land Rover Defender to Make US Return in 2019 at AutoGuide.com. I'm still not convinced the live axle will actually be part of the next Defender. I know Jeep's still doing it with the Wrangler, but it seems out of step with Land Rover's apparent desire to move the model upmarket as a lifestyle vehicle. But I could be wrong. i didnt hear if they are using live axles or not. also call me old school but im not really liking the design on these. much rather perfer the look of older defenders. I actually quite like the look of these, not as a direct Defender replacement, but as something else. That said, the picture the op has posted is the long dead DC100 concept, so I doubt it has anything to do with a new Defender now. Those concept vehicles are just re-bodied Range Range Rover Sports, completely for show, although would go as well as an RRS would on or off road. Personally I think it will be a crying shame if they don't stick with the live axle. Not that I have anything against the air IFS/IRS. But in order for the independent system to compete with a live axle off road, it requires complex cross linked air springs and fancy electronic controls. All this adds complexity, weight and cost. It works brilliantly on the Disco/RR models because they are pitched higher up the market, and is absent on the Freelander/Evoque/Disco Sport which only use coil independent, because those vehicles are intended for more on road than off road use. 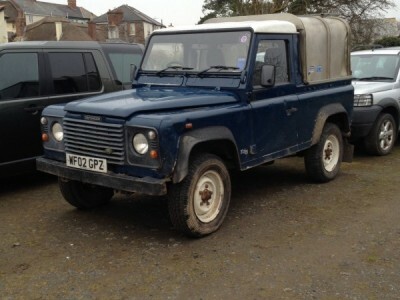 But the Defender should still have a high degree of utility use. So shouldn't be premium luxury car money to buy, or to maintain. A live axle is proven to work brilliantly off road and more than acceptable on road. In fact, I suspect that 95+% of people wouldn't be able to tell a live axle from an IFS one on the road with only the steering wheel to tell you. Which makes it a pretty poor point of view that IFS is really that much superior. And are used as proper work vehicles, day in and day out. I live in a fairly densely populated part of the UK, yet every day I still see plenty of Defenders working for a living and being used as a utility truck. If the bosses at JLR have over looked this vital role, then shame on them. Keep it simple, keep it effective at what it does. old post but... i completely agree. thats what a land rover (espicially a defender) is suposed to be. simple and effective. Keep It Simple Stupid, haha. i just wish we could get more defenders in the US than what there is.